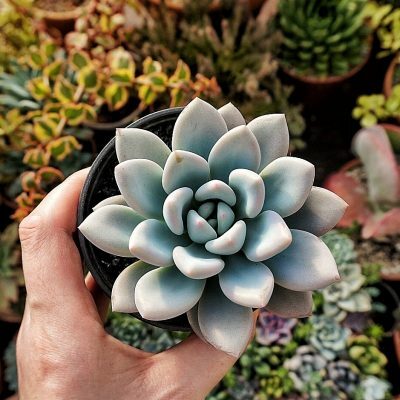 Caring for your succulents during the winter can give you a headache, especially if you’re a newbie to subject. If you’re growing them indoors, then it only takes you a few adjustments and your little piece of nature will be fine. 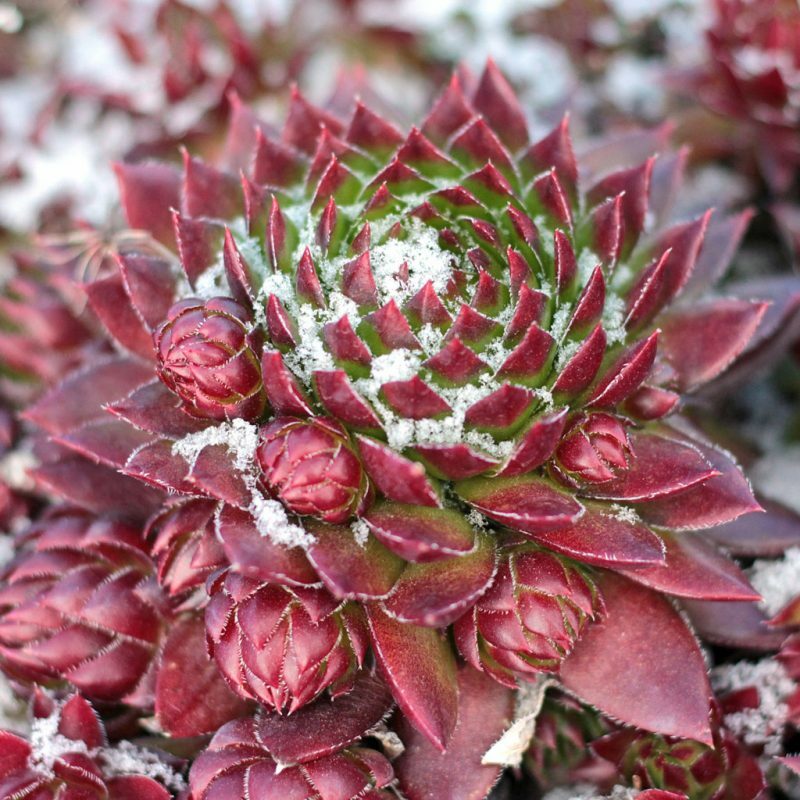 But, if you’re growing your succulents outdoors, you may need to move them in for winter. This can look like a risky task but we’re here to help. First of all, you’ll have to know what temperatures succulents you have can handle. There are ones that are used to the big temperature drop and they can handle freezing over the winter nights. You can leave them outside and have no worry. 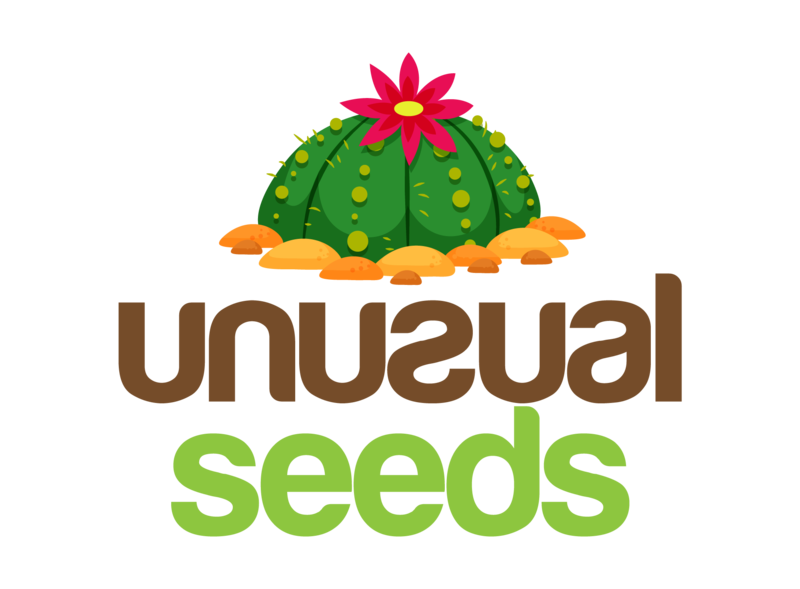 They will go to a resting period and start growing again as soon as temperatures rise. Just make sure they are completely dry when a frost comes in for a season. You can fertilize them one last time before that period starts and water them with just a few drops from time to time. If you’re living in a climate with snow and freezing winter temperatures, you should probably take some of your succulents inside. Again, you should know what temperatures each plant can handle. One of the general rules is to take your succulents inside before the first frost kick in. In order to do it in the right moment, you should know average low temperatures in the area your living in. Before moving them inside, water them one last time. If you fertilize your succulents, this is the right time to do that too. Just make sure they have enough time to get all the nutrition and to dry properly before you take them indoors. This will prevent your succulents from draining on a surface you’ll put them in your home. Check your succulents and their soil before you take them inside. You don’t want any insects nor dead leaves, so make sure you clean everything up. Take off every dead peace you can find and change a top layer of the soil. This will prevent your succulents from rotting during winter and get infected because some bugs that can be in there. 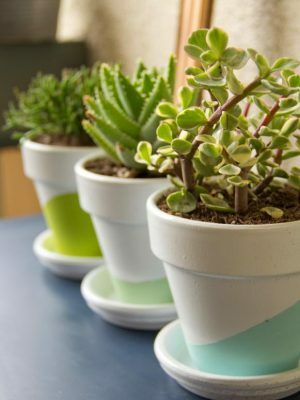 Before you take your succulent inside, you want to get some pots ready. Clean the inside of the pots of any dirt or leaves you can find in them. Also, you need to remove all of the debris around your succulents. Decomposing organic material can easily cause a plant to rot or get some infection. This can be a great opportunity to rearrange some of your succulents. As they grow, they’re shredding leaves or maybe some of them died. You can replace them and fill the holes in your arrangments. Just make sure they have enough room to breathe and feed. You can also put in some top dressing. It looks great and stops any insect to get to the roots. When it comes to watering your succulents while they’re inside, we’re back at the type of succulent you’re growing. There are ones that go in a resting period, so they don’t grow during winter. Some general rule is to water your succulent when the soil is dry. That means you can let them go several days, even weeks without a drop of water. However, if you have a winter grower, it will need more water in order to stay healthy. Since there isn’t as much of airflow as there is outside, your plants will stay wet longer. Also, if you put them near a heating vent, they will need to be watered more frequent. One of the biggest problems you’ll face when growing succulents inside is lightning. They need at least 8 hours of indirect sunlight a day and during cloudy winter that’s not easy to provide. Place the pots near the brightest window you have. If you notice they’re stretching and leaning towards the window, that’s the sign they don’t have enough light. In that case, you can rotate them to keep them in the right position. You may also consider getting some grow lights to help them stay in shape. In case you choose to get a grow light, just make sure you don’t keep them on all the time because succulents need to rest during night time. This will keep their normal growth cycle. Moving your little piece of nature indoors can be scary, but with these few tips, you’ll keep them happy and healthy. With just a little bit of extra care, your succulents will be in shape when the sun starts to shine again. 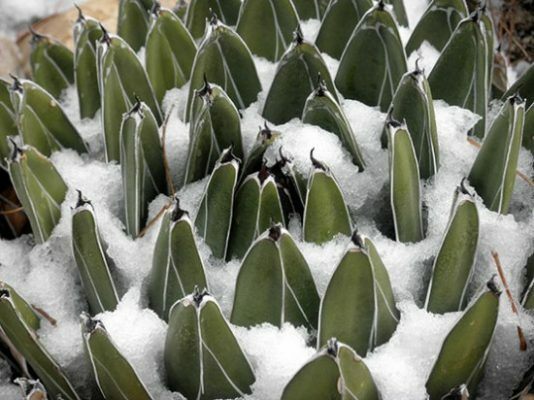 This entry was posted in Blog, Succulents and tagged How To, Succulents, Winter.